Ready for the World Cup? 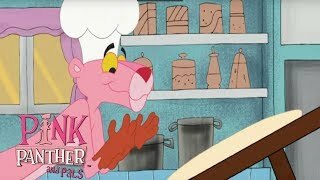 Pink Panther sure is! 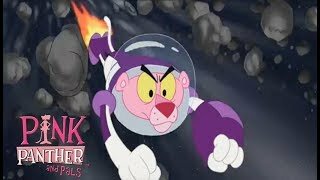 (1) Pink on the Pitch - Pink Panther's soccer team must play against Big Nose's soccer team of evil robots. 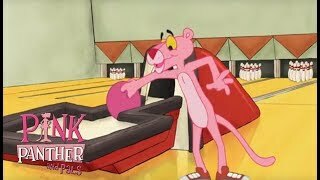 (2) Pink or Consequences - Pink Panther competes in a game show against Big Nose. (3) Pink Me Out to the Ballgame - Pink Panther and Big Nose chase after a very coveted baseball. (4) Pink Suds or Clean Duds - Pink Panther and Big Nose fight over machines at a very busy laundromat. 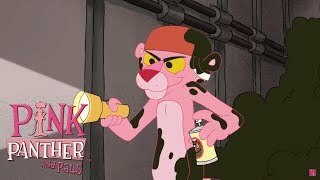 (5) The Pink Painter Show - Painters Pink Panther and Big Nose paint with two very different styles of art and fight over who gets to have their work shown at a museum. (6) Pink on the Hoof - Pink Panther has a hard time convincing Hoarse to let Pink Panther ride him. (7) Pink Kahuna - Pink Panther tries to have fun at the beach, but Big Nose makes sure that everyone is not enjoying their time at the beach. (8) Pink Trek - Pink Panther and Big Nose race to deliver a package.